Late last year, electronics company Hitachi unveiled a large, 2.5-ton robot to help clean up the Fukushima Daiichi nuclear power plant that was damaged in the 2011 Japanese tsunami. Now Honda has developed a robot of its own to aid in the cleanup effort. Using technologies which were originally developed for the ASIMO humanoid robot, Honda and the National Institute of Advanced Industrial Science and Technology (AIST) jointly developed a new high-access survey robot to collect data on the first floor of the damaged reactor. When we think of robots doing our dirty work, we tend to imagine a humanoid robot that can walk around and do the things that a person could do. Honda and AIST’s new survey robot isn’t shaped like a human, but some of the technology it depends on was originally developed for Honda’s ASIMO, a humanoid robot that Honda has spent more than two decades developing. The development of the new survey-performing robot arm for Fukushima will in turn help accelerate the development of humanoid robots that could be used at disaster sites, Honda says. 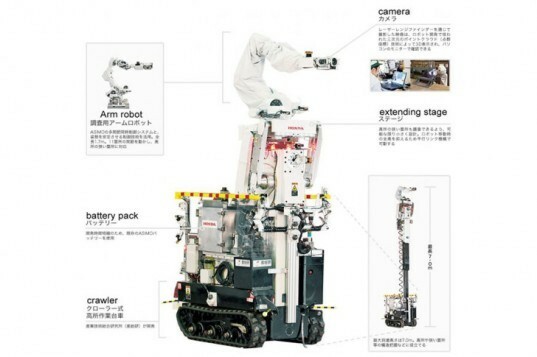 The new survey robot rests on a mobile base, which contains a crawler platform, and it features an arm that was developed by Honda that can extend as far as 23 feet. 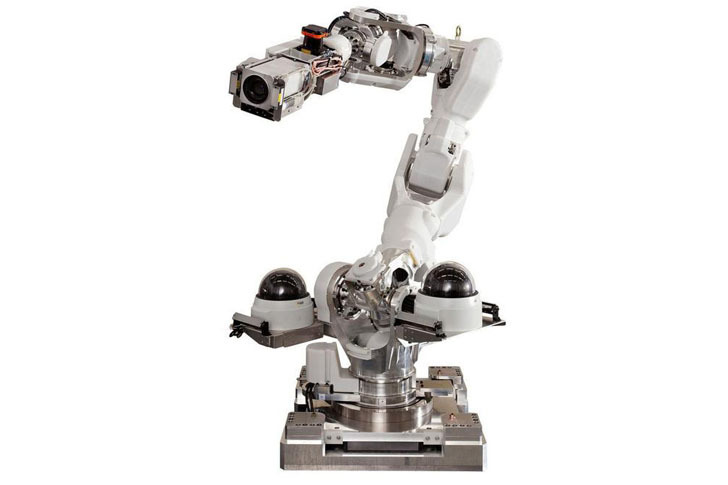 The robot can be remote controlled via 400-meter fiber-optic wired LAN and wireless LAN. As for its unique survey abilities, the robot uses a zoom camera and a laser range finder to collect 3D data and to help identify sources of radiation. Using a 3D point cloud, the robot is able to transmit data that shows the exact shape of structures located inside the facility. According to Honda, the new robot began working inside the facility on June 18.